Bullish side story: We have initial resistance at 53.50, which we traded through in the session yesterday with the equity markets being closed in a day of national mourning from the passing away of President George H W Bush. We sank in the overnight session as the dollar remained strong. 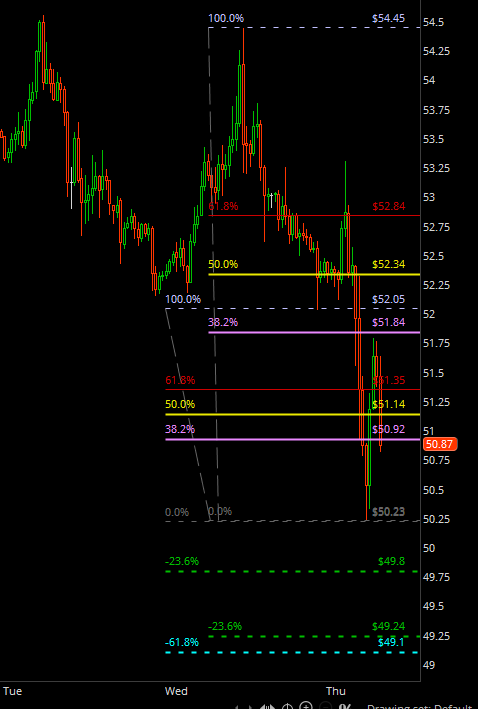 For the day, if we cannot hold 51.17 we will be in a sorry state of affairs and the bullish story vanishes. If we hold 51.17 we could scale all the way into that initial resistance area (53.50) especially after the EIA inventory news. The bearish side does have a nice conservative story to paint as the trend is lower. Here is the less aggressive setup and on a news day - you need this in your back pocket.